Wait. Is Mark Hamill Going to Be in the next Guardians of the Galaxy’ movie? Guardian of a galaxy far, far away. It all started when Twitter user Ian Fee asked James Gunn if Mark Hamill could appear in a future GotG installment. Gunn, who maintains a lively, chummy rapport with fans over Twitter, said he’d be open to it. In a normal world, that’d be the end of it. But Mark Hamill is also pretty active on social media and seeing as the most recent Star Wars left his schedule a little, uh, open, he decided to take Gunn up on the offer. Then (after a bout of confusion about direct messages) the two apparently set up a coffee date. DM me for my contact info if you’re serious. And Nerd Twitter positively exploded. So, what do you think? 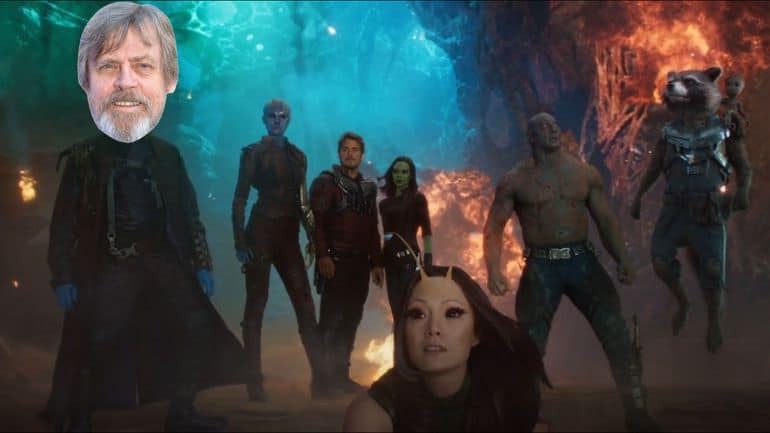 We don’t have much to go on regarding what Guardians of the Galaxy, Vol 3 is going to be about yet, assuming our heroes survive their upcoming Avengers crossover in Infinity War. But Marvel’s cosmic universe is huge, and there’s no shortage of characters Hamill could lend his talents too. It would be far from his first foray into the world of superheroes, having served as a both The Trickster in the CW’s Flash and voicing the Joker in the beloved Batman: The Animated Series.